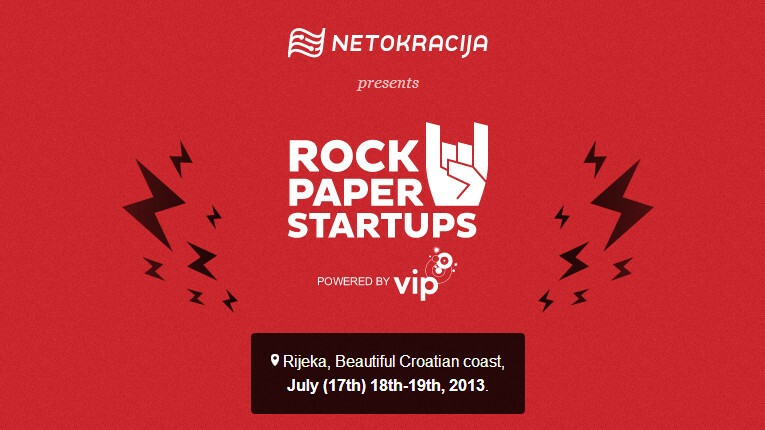 RockPaperStartups, a conference presented by Netokracija will be held July 17-19 in Rijeka, Croatia. In May, we had the Shift Conference in Split and, last week, the Startup Island conference in Hvar. Now, we something for July as the local startup will again descend upon Croatia to learn, share, and create. According to the organizers of the conference, the event will kick-off on July 17th with the invite-only, 24-hour Mini Seedcamp Rijeka and Hackathon event. This will be followed by full festival days on July 18th and 19th and a “chillout day” on the 20th. The Registration for the 2-day main event costs 70 euro and will offer attendees the chance to mingle, learn, and hear from speakers like Daniel Burka from Google, Jon Bradford from Tech Stars, Martin Ringelin from Twitter, Carlos Eduardo Espinal from Seedcamp, and many others. SEE ICT, Bulgarian venture fund and accelerator Eleven, TechStars, and Seedcamp are listed as partners, so event organizers have certainly managed to bring together some of the biggest players in the European startup community. Teams interested in promoting their startup at the Mini Seedcamp Rijeka can apply here, but must do so by July 1st if they are interested in participating. If that isn’t your thing, you can participate in the Rijenka Pub Summit and win a chance to present at the Web Summit in Dublin at the end of October. Finally, organizers say that a ticket to the conference will also offer access to the Republika Festival, which is a festival held while the RockPaperStartups is due to take place and which organized by A MAZE. Festival.